I’ve made this top before so I knew it would work perfectly this time too. Last time I used a beautiful soft modal from Tessuti Fabrics. 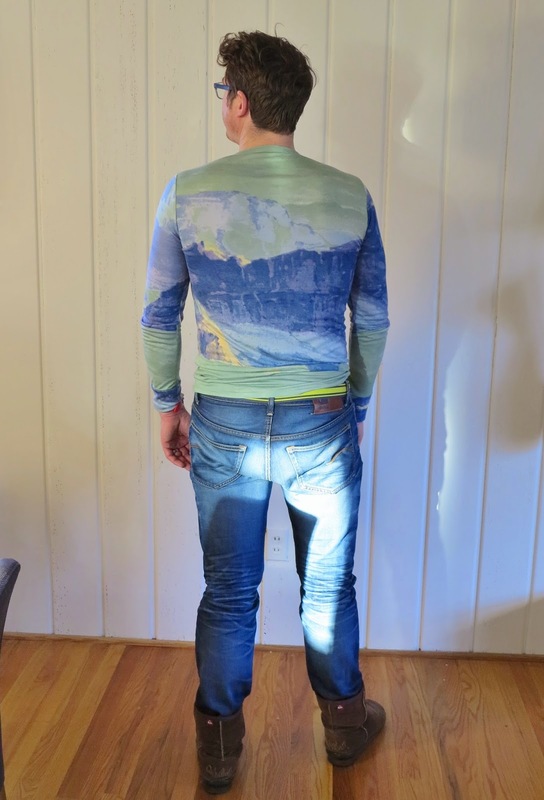 The fit was snug on hubby, but perfectly comfortable too. This time, I graded the pattern up a smidgen. I was too lazy to re-print the pieces so I just guesstimated. It’s still a snug fit. The cotton jersey I used has a little less 2-way stretch than drapey modal. This entry was posted in cotton, Henley, jersey, Mood, Thread Theory, top on January 1, 2015 by Debbie Iles. And it’s a high five for me, who has scored a perfect ten on fit. Yes, birthdays are all about me and seeing my creations finally being worn. 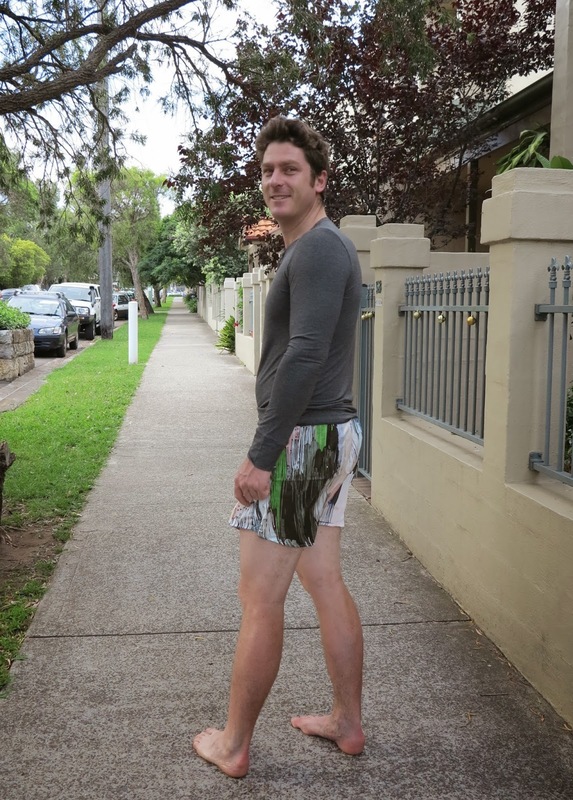 If you can remember, I made hubby some Lisa Ho boxers and a gorgeous modal Henley a few months ago. I am ever so proud of myself for refraining from gifting them before today. My reluctant model permitted me to take a few photos (even though it was barely 6am and he had only just woken up). And yes, he did comment on the gorgeous fabrics. I will definitely be making these for him again. The modal works pretty well in this size for the Henley, but if I use a sturdier or less stretchy fabric, I think I will have to go up a size, particularly in the arm width (yes hubby, to accommodate those massive guns). 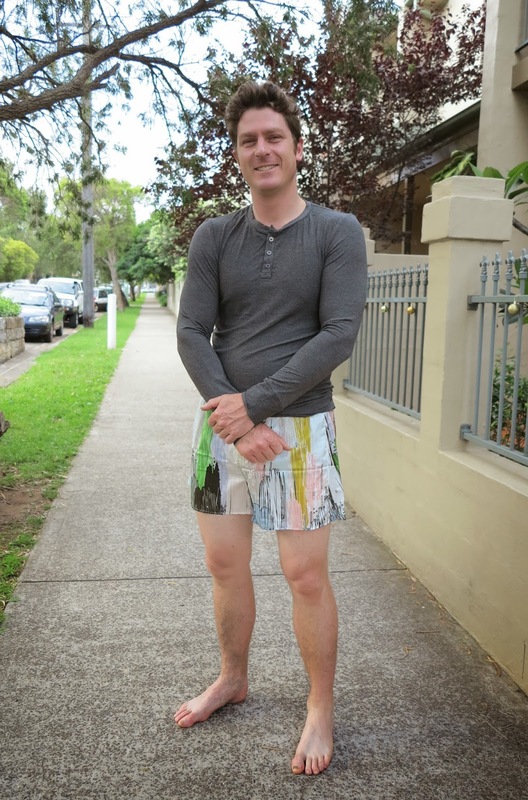 This entry was posted in boxers, cotton, Henley, Kwik Sew 1672, modal, shorts, silk, sleepwear, Tessuti Fabrics, The Fabric Store, Thread Theory, top on December 10, 2013 by Debbie Iles. Yes, I do realise I shouldn’t be calling it ‘my’ finished Henley because it isn’t meant for me. But the fabric I made it with is just so soft and delicious that I won’t be too disappointed if it doesn’t fit hubby and I am forced to claim it as my own! I used the pattern below by Thread Theory and my fabric of choice was a charcoal modal from Tessuti Fabrics. Modal is a gloriously soft type of rayon fabric, made from trees (usually Beech). It is divine to wear, but it does pill a little over time. 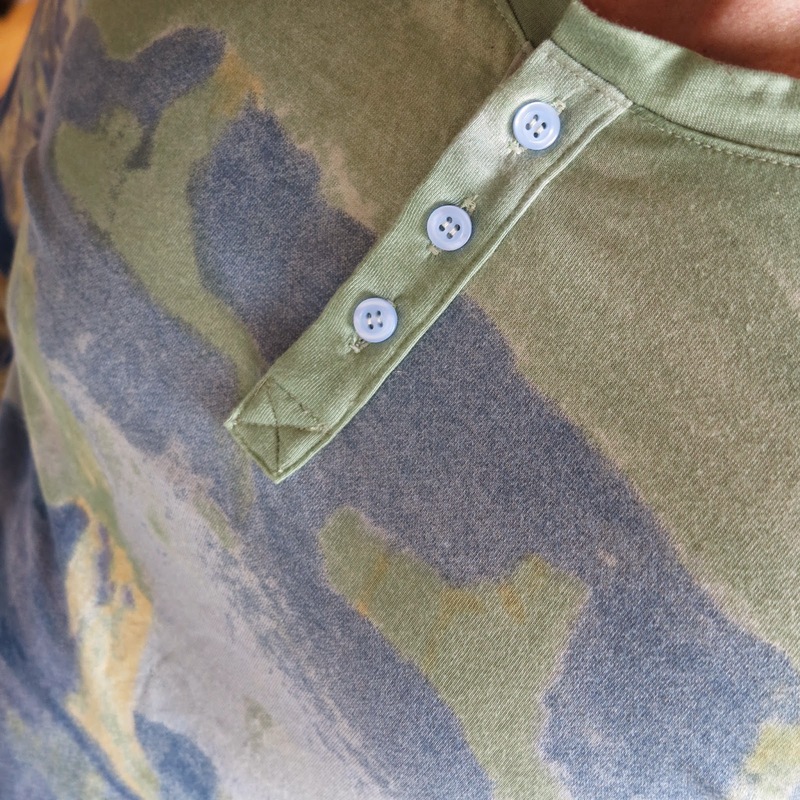 I find it holds it’s shape well, and if I am making a top for myself in modal, I wouldn’t usually finish short sleeves as it rolls prettily and doesn’t fray (although that’s hardly what I want for this very manly shirt I am making). I enjoyed following this pattern, but I did find it a little fiddly making perfect buttonholes and plackets with modal. My bottom buttonhole was a disaster, but thankfully it isn’t too obvious with the button in place. Even though I interfaced the placket (in little strips under the fabric but not the facing fabric), it still moved all over the place when I was stitching. I think I will fuse lighter weight interfacing to the entire placket piece next time before putting it together. I love the modern, slimline shape of this top. 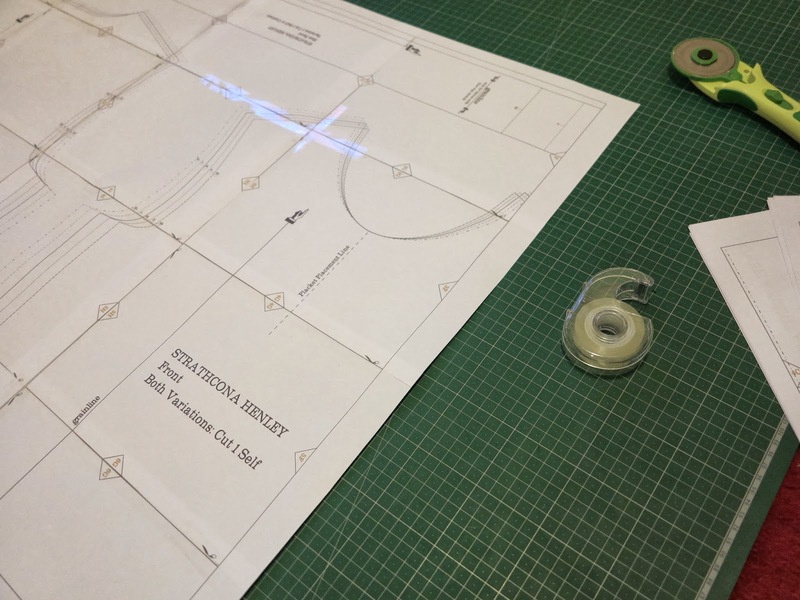 I find it hard to find great menswear designs, so I must thank Andrea from Four Square Walls who introduced me to Thread Designs in the first place. Her review of this pattern is here. I chose to make the Large size for hubby and lengthened the arms a little. I lined up another similar top he owned to check the pattern pieces for sizing. I am a bit worried the top will be too long, but this is easy enough to change at a later date. 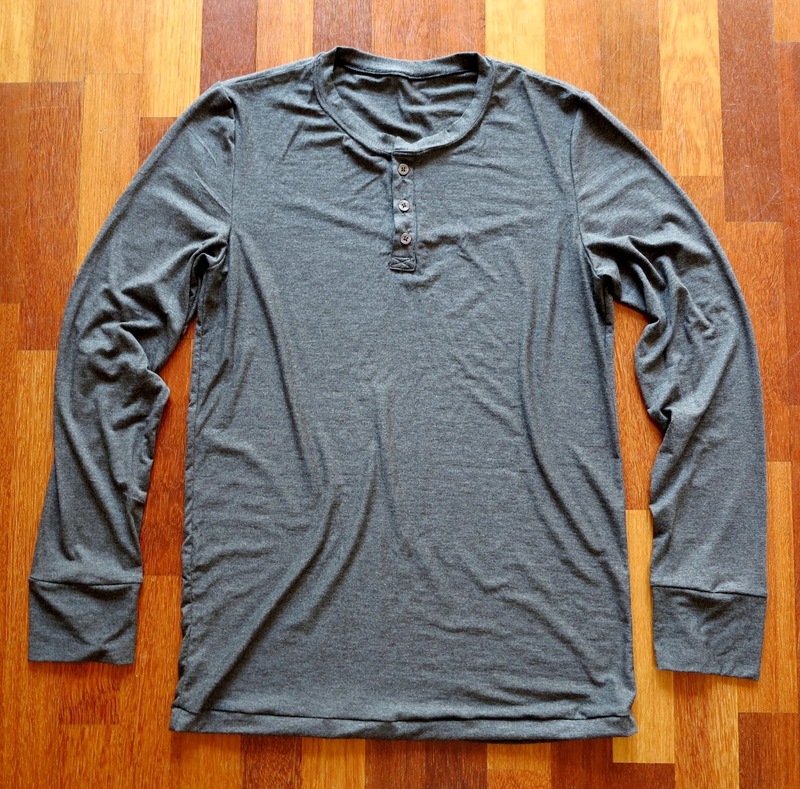 Overall, I’m pretty happy with how my Henley turned out and I’m really looking forward to seeing how it fits. I’m a little bit out of season here, but I think it will make the perfect top for layering in Autumn and winter. 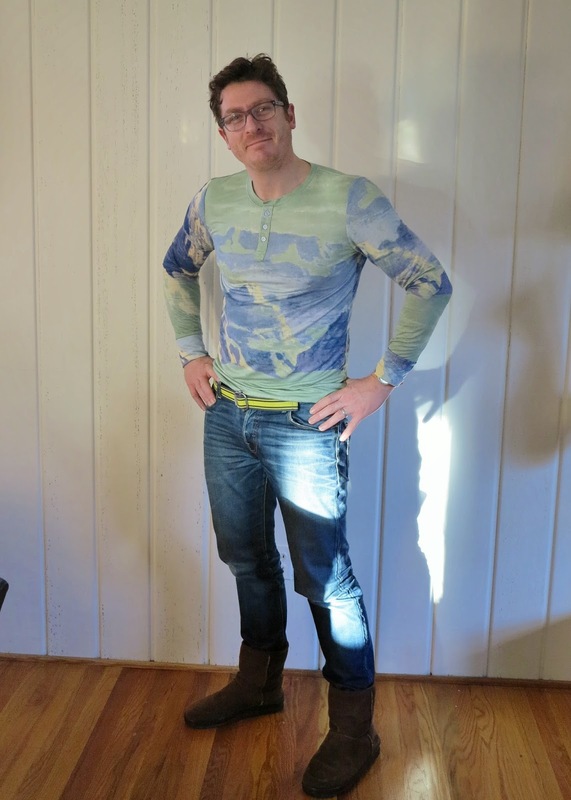 This entry was posted in menswear, modal, Tessuti Fabrics, Thread Theory, top on November 3, 2013 by Debbie Iles. The thing that excites me most about blogging is connecting with other bloggers and of course, shamelessly copying being inspired by their fabulous ideas and teachings. 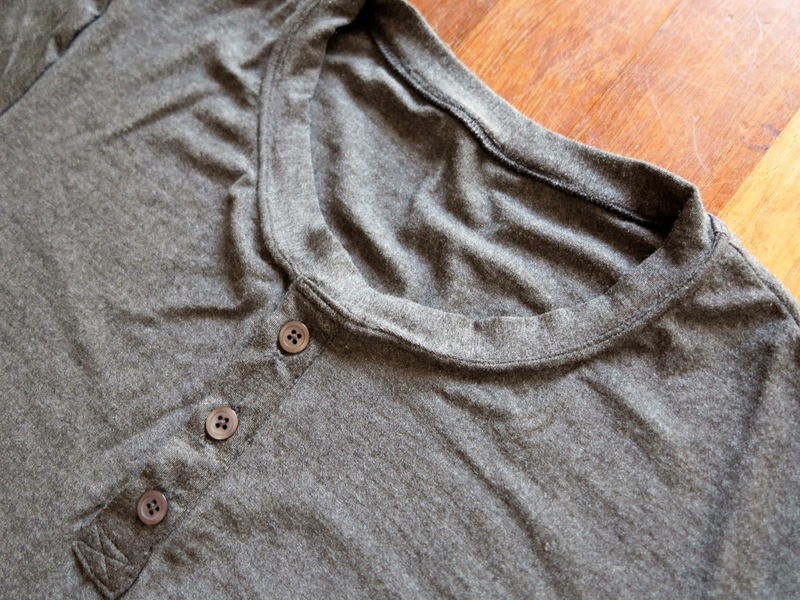 Today I got started on hubby’s new birthday gift, his Henley top. Ok, so I did make him a birthday business shirt last month (which he loves by the way) but of course I couldn’t hold out until December to give it to him. Unfortunately he is still in Kansas for work so I can’t even show you a photo, but he tells me it is my best shirt ever, and I believe him, given the number of times I’ve seen it on Skype already. 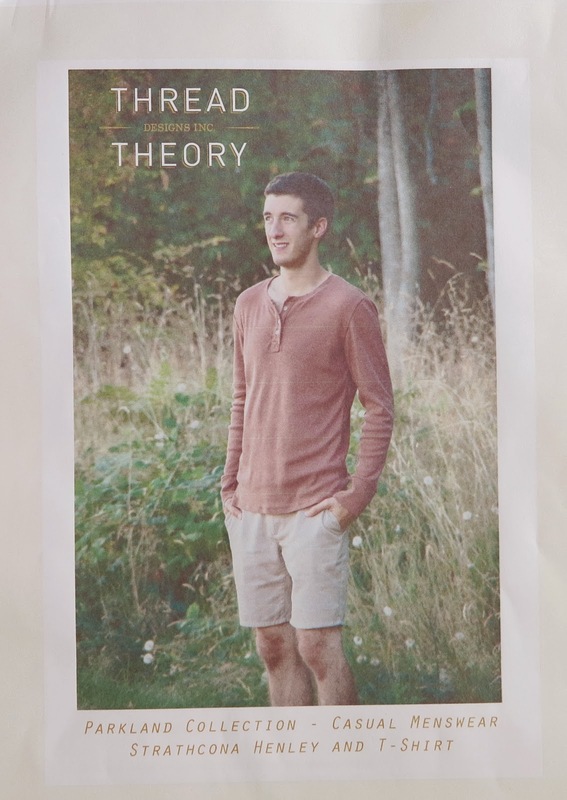 I have Andrea of Four Square Walls to thank for introducing me to Thread Theory and expanding my foray into menswear. Hubby is forever tallying up the amount of garments I make for the females of this family vs him, so I suspect I might be tempted to try the Newcastle cardigan soon too. In any case, I got started on my Henley tonight, sticking and cutting the pattern pieces as I watch Gray’s Anatomy. I purchased some beautifully soft (and manly) charcoal modal from Tessuti Fabrics to use for it. I figure if it all goes Pete Tong, then at least it will make a super soft and comfy pyjama top! This entry was posted in menswear, modal, Tessuti Fabrics, Thread Theory on October 24, 2013 by Debbie Iles.